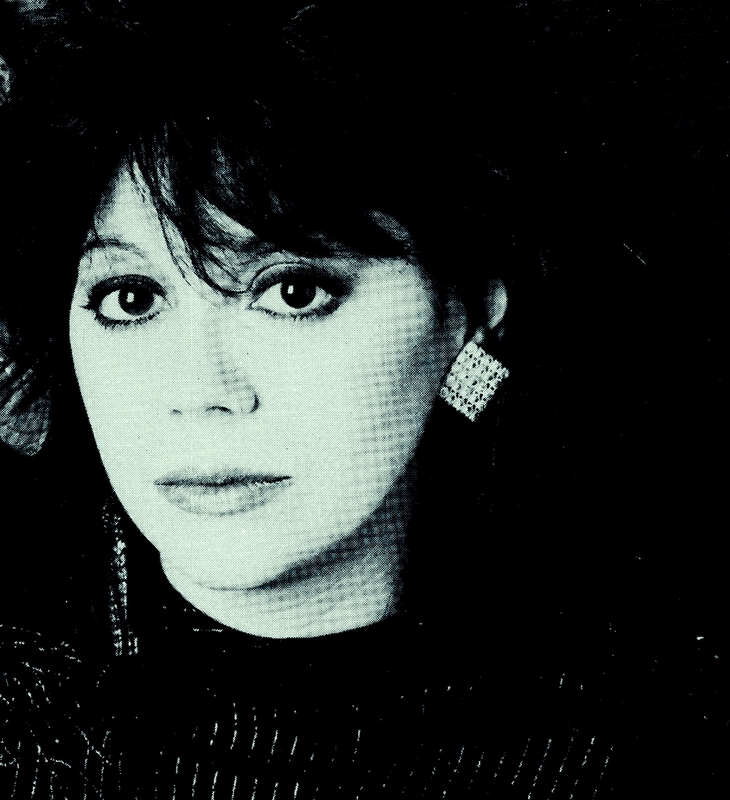 « Pat Blythe – It’s March, it’s Music, it’s Mayhem….. In mythology, Cassandra was a tragic figure, blessed with the power of prophecy, but cursed to have no one believe her words. There are echoes of this syndrome in modern literature, where Cassandra’s name is frequently invoked when prophecies and warnings are not believed. History is littered with cases of warnings ignored. 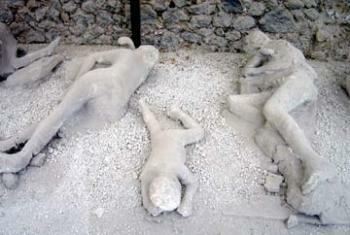 The victims of Mount Vesuvius‘ eruption in August of AD 79 ignored all of the mountain’s tremors as the molten rock increased within, and only marveled as all of the animals, including rats, fled the town. The wells and streams suddenly dried up, but the Pompeian’s brushed off that warning as being due to hot weather. To mix my metaphors, that sounds a lot like Nero fiddling while the continent burns … or like a politician, one of the largest recipients of fossil fuel money in the US, blithely and inaccurately, showing and telling how a snowball in winter disproves climate change. Similarly, the Indian Ocean‘s tsunami and earthquake of 2004 was predicted, not just by ‘dreamers,’ but by the Pacific Ocean Tsunami Warning System. Even as one government official had his calls to action ignored, he found himself termed “crazy,” and he was banned from certain parts of Thailand, as he was believed to be a threat to tourism. For seven years, the countries in the tsunami’s path were warned of the coming event. There was anoither clear warning of disaster when the sea in Indonesia receded several hundred meters after the earthquake, but few knew or believed a tsunami would follow. More than 230,000 people were killed, 500,000 were injured, and 1.7 million were left homeless. But at least they got those tourist dollars. And what of those whose ‘visions’ prompt such ridicule? 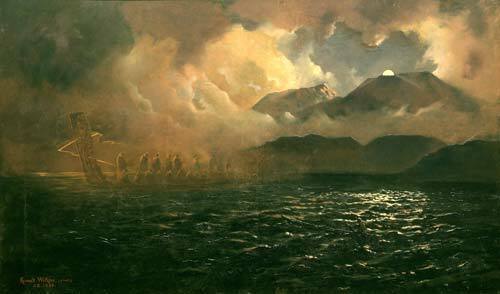 If you’re not going to believe a Tsunami Warning System, you’re certainly not going to give credence to the Maoris, who believed that seeing a spirit canoe called waka wairua sailing over a lake near Mount Tarawera in New Zealand in 1886 was a sign of an impending disaster. Even several European tourists claimed to have seen the canoe, which legend said was used to transport the souls of the dead. There were physical signals as well, as the lake’s volume rose and fell rapidly, and the rocks released hot water. But that’s just silly people believing in legends, right? 120 people died that June 10th, and several native Maori villages were completely destroyed. While I am not advocating a belief in legend and mythology, I think it’s interesting to consider how humans deal with information they don’t like, or refuse to believe. There is a knee jerk denial, inevitably coupled with sarcastic laughter directed at those who are explaining what is about to happen. Public ridicule becomes the norm, with the object being to drive the truthsayer’s reputation into the ground, and to mute their words from society’s hearing. That shortsightedness doesn’t prevent disasters from occurring … in fact, it’s more likely to hasten the disasters. By June of 1941, Josef Stalin had received more than 100 warnings about Germany’s intention to attack. Germany, meanwhile, was assuring Russia that they were just massing troups at the Soviet border to ‘protect them against British bombing.” Oh, the lies we will believe in the name of keeping safe! The Soviet Intelligence communities had their warnings ignored., while the head of Soviet intelligence, who had also warned Stalin of Germany’s intention to invade, ended up shot. 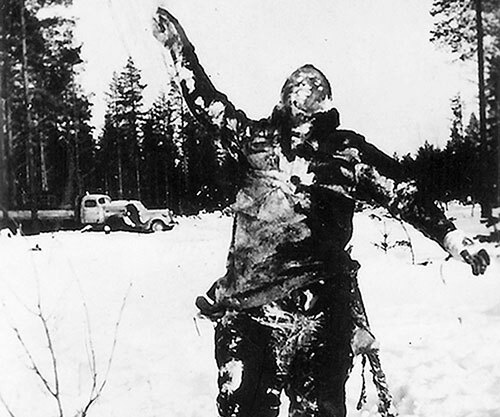 775,000 German soldiers and at least 800,000 Soviet soldiers died in Operation Barbarossa. Prior to the Gulf War, the CIA and US military intelligence had warned the US government about the impending invasion of Kuwait. Those warnings were not only ignored, but led to the granting of a $1.2 billion loan to Saddam, just two days before the invasion. Indeed, the US was so contemptuous of the warnings that it took four days for maps of Kuwait and Iraq to be loaded onto their computers, post invasion. 25,000 Iraqi soldiers died, as did 248 UN troops, and 100,000 Iraqi civilians. A million more Iraqi civilians died later, due to sanctions imposed against their country. Is any of this starting to sound familiar? Perhaps you remember September 11th, 2001. “… starting in the spring of 2001, the CIA repeatedly and urgently began to warn the White House that an attack was coming. By May of 2001, says Cofer Black, then chief of the CIA’s counterterrorism center, “it was very evident that we were going to be struck, we were gonna be struck hard and lots of Americans were going to die.” “There were real plots being manifested,” Cofer’s former boss, George Tenet, told me. Insolence, a belief in one’s own superiority, and a lack of imagination always work against those who doubt naysayers and whistleblowers. Consider the case of Bob Ebeling, an engineer who worked for the company that produced the rocket boosters on the Challenger space shuttle. 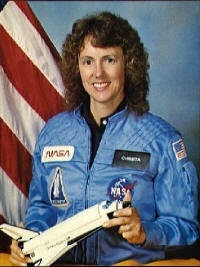 And so millions of viewers, on the ground and on televisions around the world, watched as the shuttle exploded, 73 seconds after takeoff , killing seven astronauts, including Christa McAuliffe, a teacher who had won her seat on a NASA educational program. Economist John Maynard Keynes said that the Treaty was dead on arrival. Field Marshal Ferdinand Foch, a French army commander, warned that the treaty was not the end of the war but rather a suspension of it, and that Germany would be much more formidable in a new war, invading France and staging attacks into England from there. They were right, but ignored. And despite those tinfoil hatted lunatics who deny the Holocaust, by the end, almost 50 million people were dead. The list of tragedies that could have been prevented by heeding the warnings, either of dreamers or Cassandras, or by the use of simple common sense, or by listening to those who could sense what was coming based on their own knowledge and experience, is very long, and filled with millions of casualties. Americans were given ample warning of what would happen if they allowed themselves to elect a president whose sole intention was of ransacking the treasury for his own personal gain, a man who demanded total control of an entire country and delighted in a chance to remake it in his own image .. a place of carnage and destruction that he could survey from his gilded palaces. Their own constitution offered all the information they needed to prevent his rise to power. Their vaunted ‘checks and balances’ produced nothing more than a last line of defence – the Electoral College – that caved like a cheap suit. 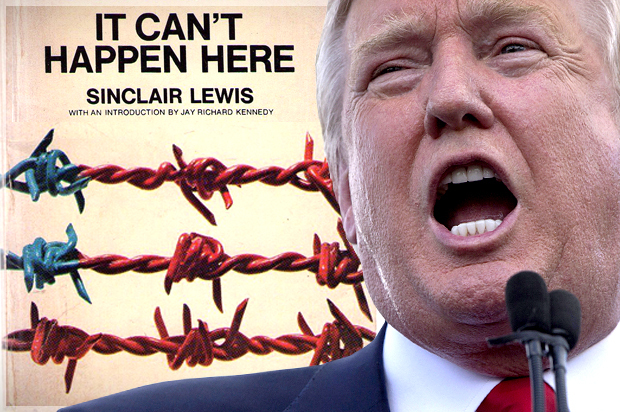 Now that the fox is in the hen house, it’s going to be very difficult, if not impossible, to get him out, and will likely produce millions more victims to add to that very long list of innocents, murdered through the elected officials’ casual ignorance, or a stubborn belief in their own infallibility brought about by a controversial electoral win. Like the victims of Pompeii, or the tourists that ran forward into the retreated waters of the Indian Ocean to catch stranded fish, we seem to be waiting, mindlessly, to see what will happen next, as the ante keeps getting raised. 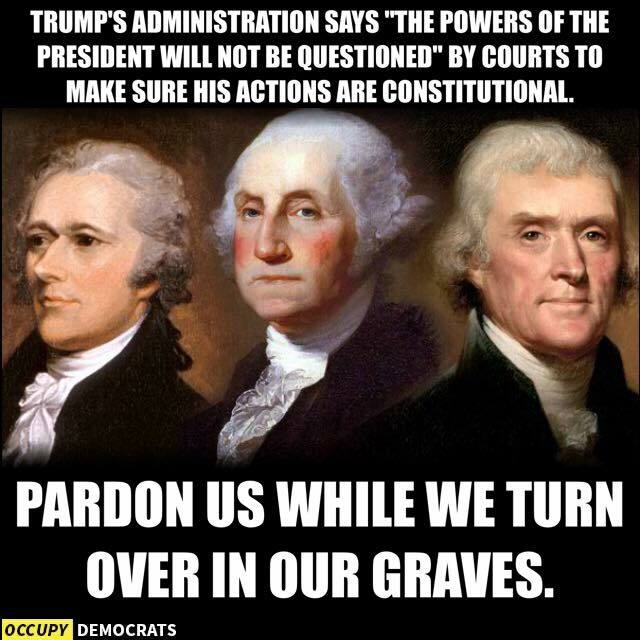 Like them, we will be buried under what we refused to see coming. We were warned, by dreamers and Cassandras, but didn’t listen. This entry was posted on March 5, 2017 at 4:40 pm and is filed under Opinion, Review with tags "Germany First." Holocaust, 'alternative facts', Cassandra, Christa McAuliffe, CIA, climate change, DBAWIS, Electoral College, Gulf War, Indian Ocean, Maoris, Mount Vesuvius, New Zealand, Operation Barbarossa, Oscar Wilde, Roxanne Tellier, Russia, segarini, Treaty of Versailles. You can follow any responses to this entry through the RSS 2.0 feed. You can leave a response, or trackback from your own site.